The UK’s national collection of art is a changing, developing entity. Since Art UK finished cataloguing the nation’s collection of oils in 2012 there have been a tremendous amount of changes, new attributions and new purchases, gifts and acquisitions. Collections often get in touch to tell us about these changes, and often helpful members of the public do too through the Art Detective website. Until now, keeping the website updated has largely been a manual task for the small editorial team at Art UK. Everything is proofread, cleared with collections, and changes entered manually into our trusty content management system (which is what powers the Art UK website). However we are very excited to launch a new interface, built on top of the Art UK website, which will allow all UK collections to edit their own data, and even add their own artworks. The new Collections Portal was built by Keepthinking and tested by Art UK over the last six months. This interface was principally funded by Arts Council England. It will be easy to use for all collections, from museums and galleries to schools, hospitals and fire stations. Every collection contact can be set up with an account, allowing them to log into Art UK and make direct changes to the website. Artworks can be added one at a time, or as a batch. The changes come through to Art UK for the editorial and copyright teams to review and approve. The Portal user will receive an update email on the progress of their new additions or changes. As part of this work, Keepthinking also developed a Partner Portal for our lead project partner, the BBC. The Partner Portal will allow verified BBC staff to search Art UK for artwork images that are allowed to be used on the BBC website (so only where permissions have been given by the relevant rights holders). This will help increase interest in the nation’s art that is shown on Art UK. The most exciting development is that a diverse range of art can now be added to Art UK. Our previous work was to make accessible online all the oil, acrylic and tempera paintings in the UK, however now Partner collections can add drawings, watercolours, prints, collages and other kinds of two-dimensional mixed media works. This will include works on paper, such as art made using pencil, ink or gouache. (Sculptures will unfortunately have to wait until 2017, funding permitting.) We plan to one day add a new ‘Artwork type’ filter to Art UK, but for now these new works will be found alongside the oils, and those interested in finding watercolours, for example, can type 'watercolour' into the search box. Some new batches of records were provided by collections to be used as test data for the new Collections Portal interface, and are due to go online shortly. These include 400 drawings by the artist John Flaxman at UCL Art Museum, and a few hundred works in various media from the Russell-Cotes Art Gallery & Museum and the Jerwood Collection. St Peter's College in Oxford has provided a collection of pieces in gouache, watercolour and ink by Duncan Grant. 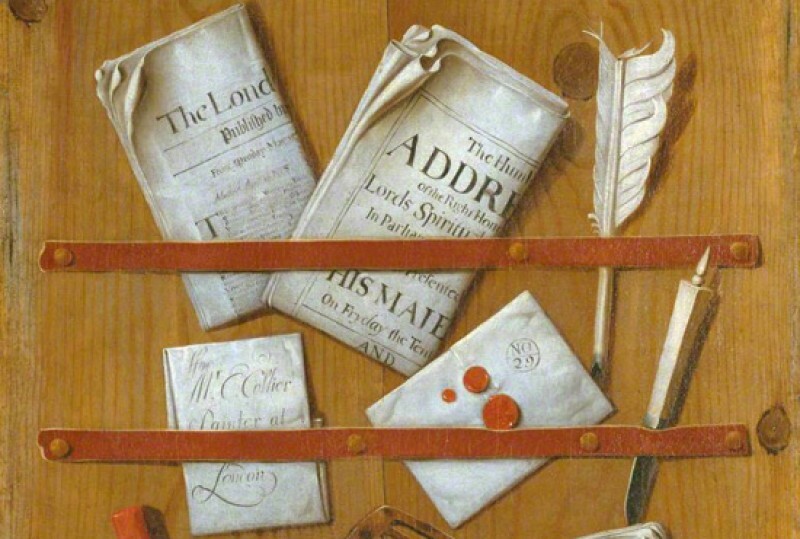 Three new University of Cambridge collections will also be added. Please sign up to our newsletter or follow @artukdotorg on Twitter to be kept in the loop about new additions to Art UK. 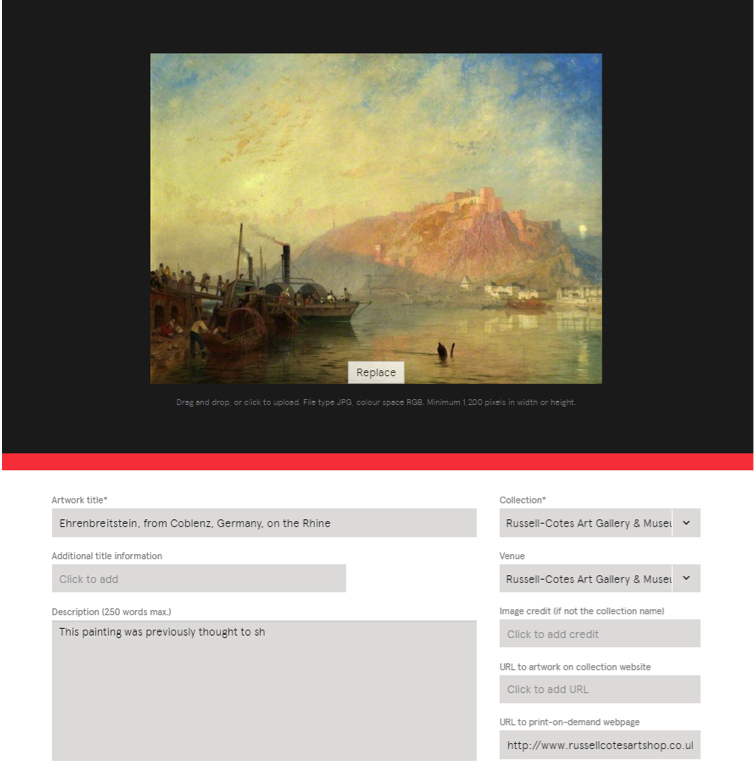 Do you work at a collection on Art UK and would like to use the Collections Portal? Please email editorial@artuk.org for more information.